If you’ve never been in a fight, as an athlete or otherwise, you might find it difficult to imagine the way your body feels afterwards. Even if you managed to gain the upper hand, you will probably still have taken a couple of good punches or kicks, which will make the simplest of tasks difficult. A fight will also drain you mentally; the stress of maintaining the right diet to lose or gain the right weight, the effort to train everyday and the time this consumes away from family and friends, the anticipation leading up to the weigh-in, the raw fear and excitement right before the fight, the stamina to keep yourself going when you’re convinced you won’t be able to. After having gone through all this, an athlete will naturally want to lie back, let the body heal, the mind relax, and just enjoy the good things he had been missing on. Three Maltese fighters, however, decided otherwise. 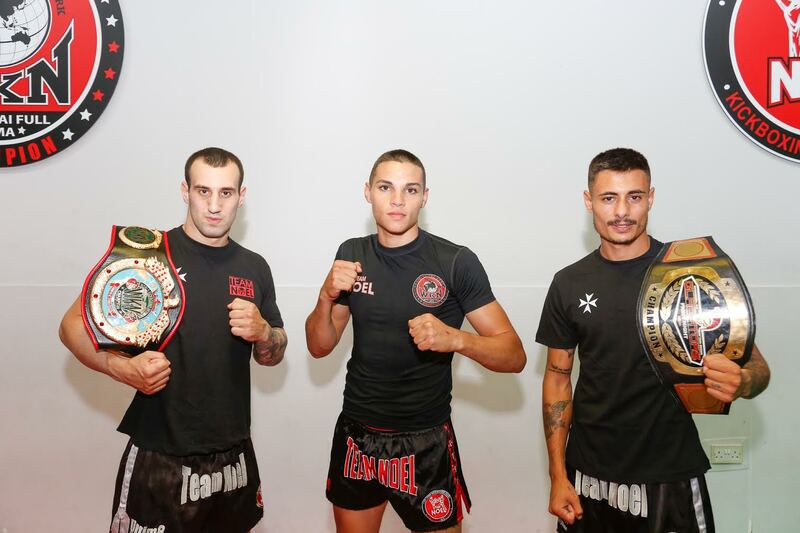 After having fought relentlessly during the Gladiators event on Friday 20th July, Keith Azzopardi, Christopher Rotin and Jesred Piscopo did what few fighters do, and accepted to represent Malta in international fights abroad the following week. Keith Azzopardi had just won the Gladiators Title Belt, but the fight had left him with an injured foot. This did not stop him from travelling to Rome on cruches to participate in a Pro boxing bout against an Italian athete the following Friday. His effort was amply rewarded, and he was declared the winner yet again. On that same day, Christopher Rotin and Jesred Piscopo landed in Sicily to fight K1 bouts against two Italian athletes. Christopher, who had just been declared a WKN European Champion after winning his K1 bout against a Greek athlete the weekend before, was surprised to learn, just a few minutes before his fight, that the bout rules had changed to Fight Code. Christopher was not disheartened, and proceeded with the fight anyway, ending up losing by points. Jesred also represented Malta in Rosolini, this time against an Italian athlete, after having won against an athlete from Slovakia the previous weekend. Jesred’s K1 bout in Sicily was declared a draw. 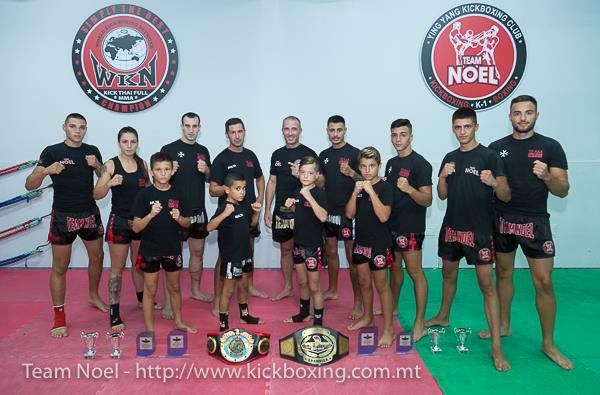 The three valiant fighters are just a handful among other athletes who train with Master Noel Mercieca at Ying Yang Club – Team Noel. The club can boast of many recent successes, with the results obtained during the 20th Gladiators event being one of the latest feathers in its cap. During this event athletes from Team Noel’s club won a whopping 11 out of 12 local and international fights, with the youngest athletes being just 8 years old.